Look, I get it. I just started a company, and narrowing down my audience from “anyone with a wallet” to a very specific client profile has been the single greatest challenge. But here’s the thing – you miss out on way more potential audience connections by trying to please everyone. If you’ve ever watched any sitcom, you’ve heard it – the canned, over exaggerated laughter they pipe in between jokes so that audiences at home will know when to laugh. Sitcoms have a pretty wide-ranging audience, which poses a problem when it comes to humor. Writing good comedy is an art of precision. You have to know exactly the right topic to joke about, what direction to take the joke in, what style of humor you’re going to use (Ironic? Deadpan? Slapstick?) and then you have to execute it with perfect timing. Doing all of that requires really knowing your audience because a joke that’s hilarious to one group might feel like an attack to another. Sitcom jokes have to appeal to a huge audience, so they tend to be pretty bland, hence the laugh track. Think I’m being too hard on sitcoms? Fine. To each their own. But that’s not the only place this phenomenon shows up. A while back Prof. Richard Wiseman and The British Association for the Advancement of Science teamed up to figure out what is, scientifically speaking, the funniest joke in the world. They devised a year-long study, setting up a website where people could submit their favorite jokes and rate other jokes on whether or not they were funny. In the end, the website accumulated over 40,000 jokes and 1.5 million ratings. Here’s the winner, the joke that received more funny ratings than any other joke. The funniest joke in the world. Brace yourself. So, did you burst out in raucous, uncontrollable laughter… or do you need a laugh track to help you along? While it might be amusing, if this joke doesn’t rival the zingers of your favorite comedian there’s a reason. This isn’t the funniest joke in the world. This is the joke that was considered funny by the largest audience of people. This is a joke that “the general public” would like. It’s tolerable, but this isn’t the thrilling content that would compel someone to fall in love with your lab or donate ten grand to your organization. So how do you know if your audience is narrow enough (or, unlikely though it may be, too narrow)? I like to use what I call “the birthday party test”. 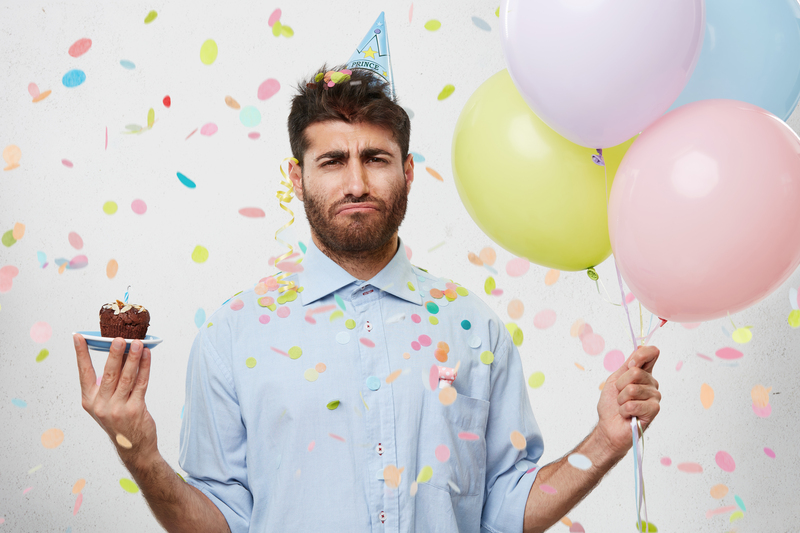 Let’s say you have to plan a birthday party for someone you’ve never met, based solely off the profile your assistant gives you about them. You’ve got to decorate, pick out refreshments, plan the entertainment, and buy all the presents. Rough gig, but it’s definitely made rougher if that audience profile is the wrong size. The profile your assistant hands you just says they are “a member of the general public”. What does that party look like? There’d probably be balloons, streamers, a cake, maybe some ice cream and soda. You might hire a DJ to spin some generic wedding reception dance floor music. (Why DO you build me up, Buttercup?). For presents, you’re going to have to pick something anyone can use. Socks? Gift cards? Coasters? A hat? This birthday’s going to look like a stock photo or a sad office party, and the presents are likely going to head straight to the regifting pile. This time the profile your assistant hands you says they are “a college student at a community college between the ages of 21-24.” Alright, now we’re getting somewhere! What do college kids like? Booze, for sure. There will still be a cake, and maybe some other college-kid-favorites snacks (anything with orange cheese dust on it seems to go over well). You can tell your DJ to spin college party music. You’ve also got a lot more insight on gifts that would go over well. What college kid doesn’t want a brand new laptop? A voucher for $200 off textbooks for next semester? A travel mug to bring some coffee along to their 8 am class? Movie passes for a night out with their friends? This party definitely looks a lot different than the generic stock-photo ‘general audience’ party from before, and it’s pretty obvious which party they’d choose if our college birthday kid had to choose between the two. Narrowing your audience lets you focus in on their values and challenges and better cater to them. You’re assistant is back and this time the profile they hand you says the party is for “a 7-year-old boy named Joshua. His favorite band is the wiggles. He loves the imaginary superhero he invented – Doctor Superbat. He hates cake, but he loves cotton candy flavored ice cream.” Wow, okay. That’s a lot of detail. What does Joshua’s party look like? You’ve got so many options here. You could make a Doctor Superbat themed party with a DJ spinning The Wiggles’ Greatest Hits, a cake with Joshua’s name on it, and an ice cream bar full of cotton candy ice cream. Joshua would know this party was 100% built for him… but his parents might be a bit miserable, and there’s a chance some of Joshua’s peers might not be super engaged by the party. The good news here is once you have an audience this specific, you can easily broaden it back out. Let’s plan Joshua a party with a variety of hit kids music, a generic superhero theme, and an ice cream bar with a variety of flavors. It’s still a very Joshua party, but with a slightly broader appeal. Narrowing down an audience is just the first step. We aren’t planning birthday parties here, so for the vast majority of us, our job isn’t as easy as “hey I made you a party – want to come?”. To get our audience on our side, we really need to dig in and get to know them. Stay tuned for my next post, where I’ll talk all about creating an in-depth profile with all the important information you need about your audience to craft the perfect messaging to draw them in with your outreach.